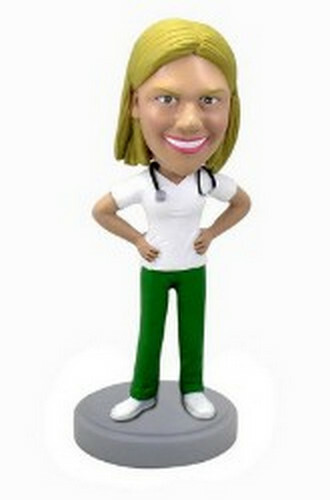 This female nurse doctor custom bobblehead doll is a perfect example of a sporty health worker. She is as fit as fiddle. An athlete with a stethoscope!